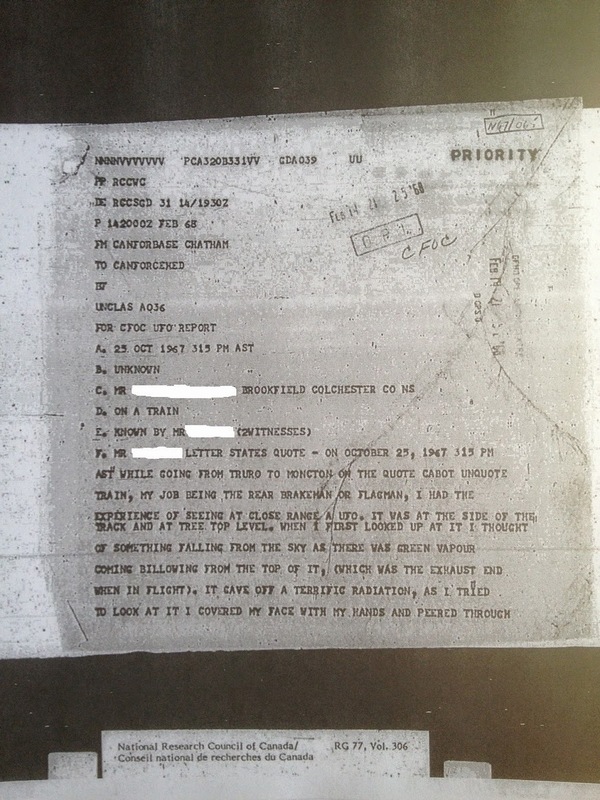 In going through all the various documents and material from the National Archives, I found this interesting CE2 case that seems to have never been investigated. It also seems to have never seen print. 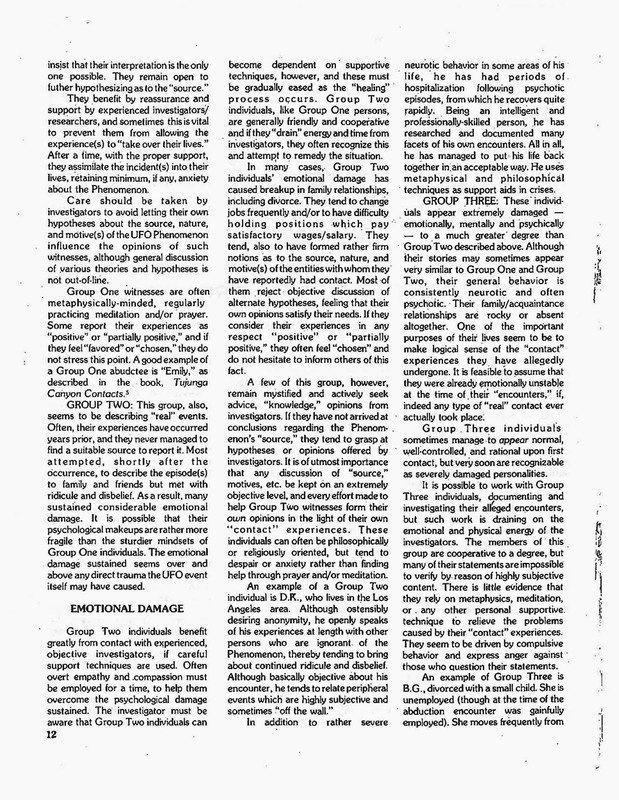 So to remedy that, here's the CE2 physiological effects case from October 25, 1967, from Nova Scotia. Curiously, I was the only critic of the theory among all of ufology. Practically everyone else seemed to think it made perfect sense, apparently. The TST theory continued to chug along, and I continued to voice concerns, until it seemed to have reached its peak... or nadir. Proponents claimed that UFO investigators were at risk of dying of cancer because the energy released by the seismic events - which are what were reported by witnesses as UFOs - would cause the cancerous cells to multiply in people frequenting UFO hotspots. And those, of course, would be UFO investigators. A medical researcher found this as absurd as I did, and we published a note about this in a major medical journal. So, are UFO sightings and earthquakes related? 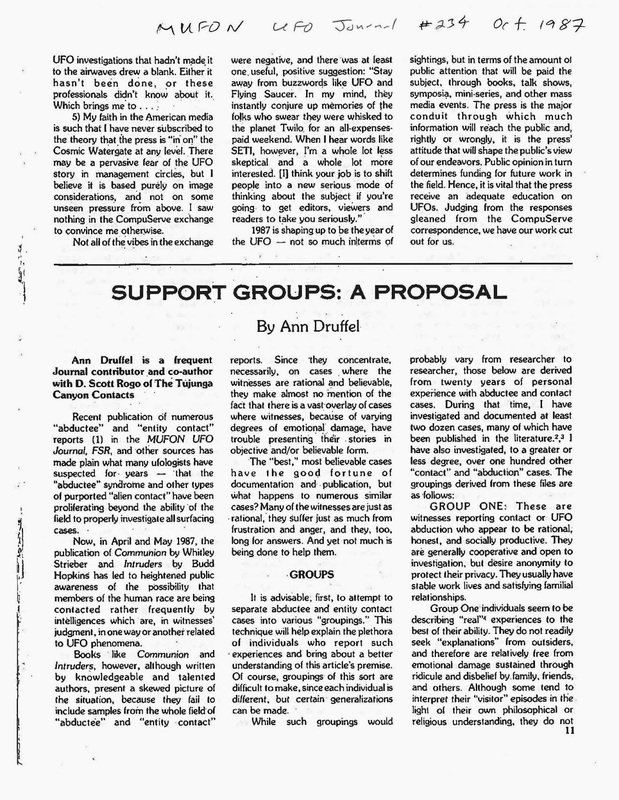 Noted ufologist Ann Druffel published an article all the way back in 1987, making recommendations on how to deal with UFO abductees. 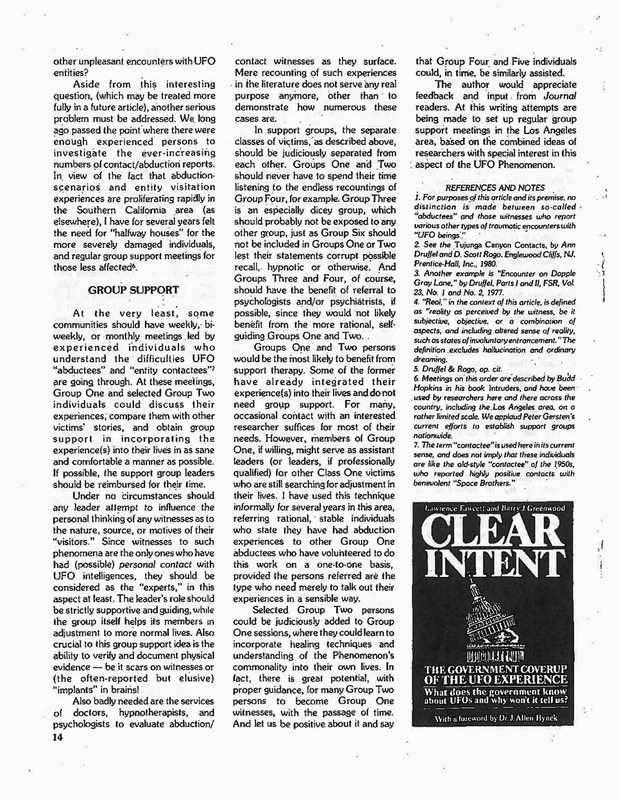 At the time, alien abduction research was still in its infancy, so her suggestions and her classification of UFO abductees (and contactees) is interesting reading for those wishing to "support" people who are now known as "UFO experiencers." 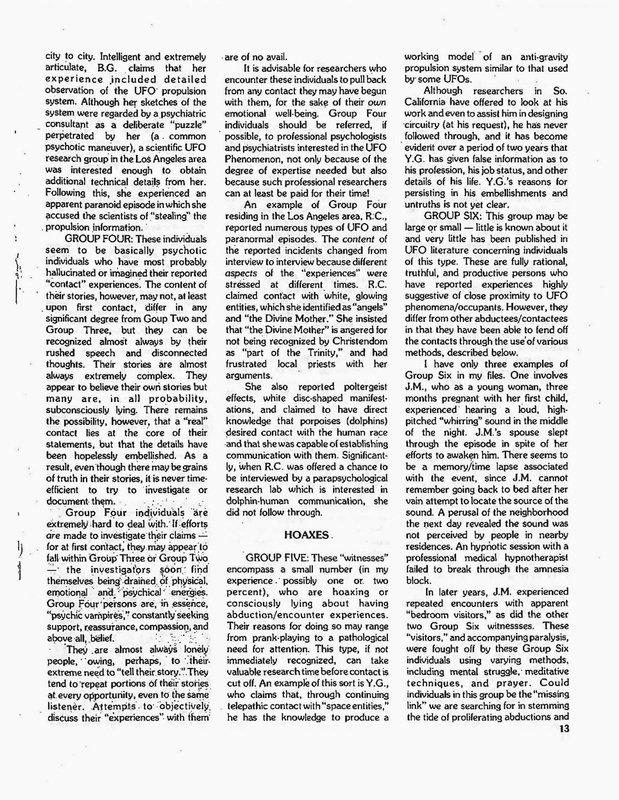 In short, she found that only two of the six classifications of UFO abductees would benefit from support groups, and that ufologists working with most abductees would have a lot of difficulty. She also spoke out very strongly on having clinical professionals such as psychologists and medical doctors (including psychiatrists) help evaluate and treat abductees for their "emotional damage" caused by either the trauma of their experiences themselves or by the consequences of their coming forward with their stories. In many cases, Druffel noted, abductees/contactees have histories of neuroses, relationship issues, social problems and poor work histories. And yet, here we are, more than 25 years later, and abductee "support groups" are continuing to chug along, often without adequate medical support for people with emotional trauma. A talk I gave at Dream Big, the day before Neil deGrasse Tyson gave his presentation. I spoke about the state of Canadian ufology, and in particular, what people in Canada really are seeing and reporting. It didn't take long for the Conspiracy Theorists and Disclosure Proponents (CT&DPs) to jump on the recent comments by Bill Clinton in response to questions from Jimmy Kimmel about UFOs. First salient point: He's not saying anything he hasn't said before. Third point: Clinton stated a belief held by most astronomers and the public that aliens probably exist elsewhere in the universe. Which is nothing that you can't read about in any pop science publication. In other words, there's no news here, people.